You know that last post about The Smith reuniting? Well scrap it. I'm deflated. 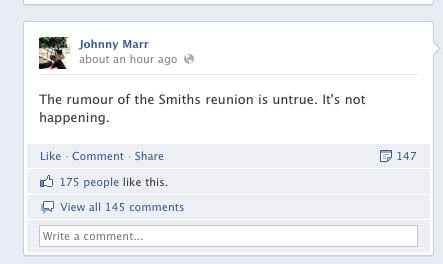 Johnny Marr has just posted on his Facebook wall the the rumours are untrue and that The Smiths will not be reforming.